We know that many of our clients and businesses we meet have a very simple approach to managing their accounting needs. It normally consists of bags of receipts, a host of spreadsheets, and maybe some antiquated piece of accounting software. In today's modern accounting world this both time consuming, costly for both the client and us, and prone to errors. Plus it makes all parties look unprofessional and unable to do business correctly. In the last year, our accounting service has focused on a fantastic piece of cloud computing - XERO. 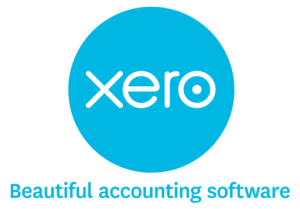 Xero is an internationally successful organisation dedicated to bringing small businesses which are the core of our client base, a modern accounting package that covers all foreseeable needs and is constantly being updated. With the rise of online electronic banking in the UK, all bank feeds can be linked automatically into Xero providing a constantly refreshed stream of transactions which are a snap to reconcile. Once set-up the time taken to keep your Xero set of accounts up to date is minimal, and realtime accounting information on how your business is doing. The best news is that your accountant has online access to your accounts, and can do his work in a moment, leaving focused on giving you the best business and tax advise you need to make your business successful. Add in the use of mobile applications that allows you to reconcile on the go, issue invoices, and photograph and upload receipts no business large or small is not able to benefit at very low monthly price functionality that a few years ago they would have had to pay £000s a year to access. A whole host of third party add-ons have sprung up to use the open APIs that modern cloud computing systems employ, so from your favourite CRM to great time saves like TripCatcher for mileage claims, Receipt Bank for processing purchase invoices and Chaser to chase those delinquent late payers! The whole package gives me more time to concentrate on what’s important to you - saving tax & giving business advice. If you want to know more about our accounting services using Xero then contact us today.